With the release of the first trailer for the Michael Bay-produced Teenage Mutant Ninja Turtles, the film is seemingly on track to hit its summer release date—even if it has, apparently, only recently begun casting its characters’ voices. 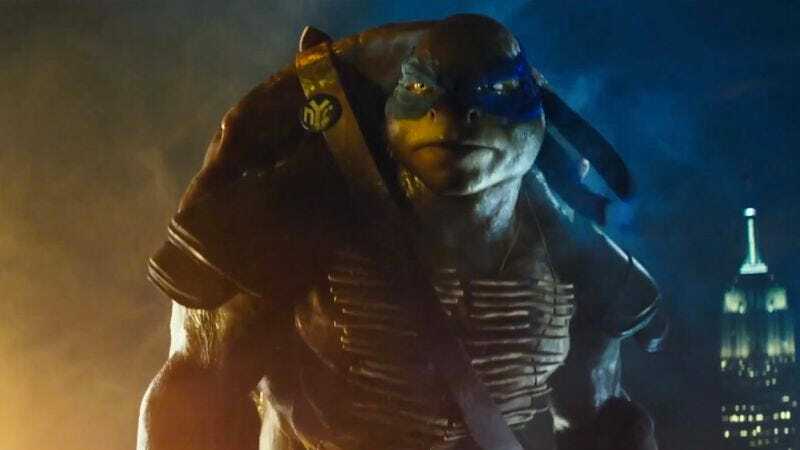 As Deadline reports Tony Shalhoub has stepped into the role of voicing Master Splinter—played on screen by Danny Woodburn—while Leonardo will have Johnny Knoxville supplying his grunts every time he gets hit in the groin. Despite the fact that both roles were filmed with different actors, those contracts reportedly only locked them in for the physical roles, allowing Shalhoub and Knoxville to hop in late in the production. These recent changes aside, Paramount remains confident the film will still hit theaters on August 8, even if the world still waits anxiously for the announcement that Megan Fox’s April O’Neil will also have a last-minute change in voice, perhaps to the quiet hum of a box fan.